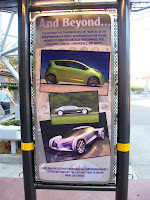 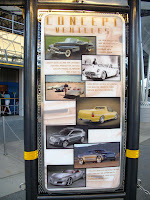 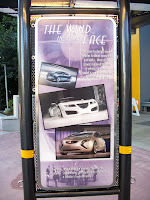 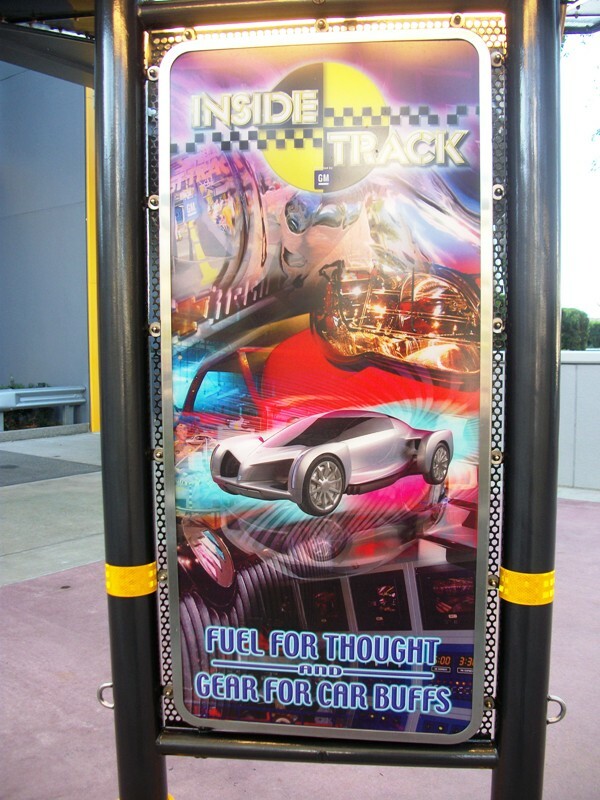 Test Track offers a nice glimpse into the kinetic world of vehicle testing. 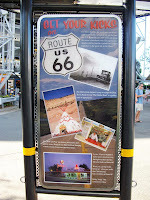 There is, however, so much more to the history and romance of traveling down the open road. 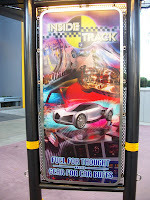 This too is touch upon at Test Track, if only briefly and, even then, only for the curious. 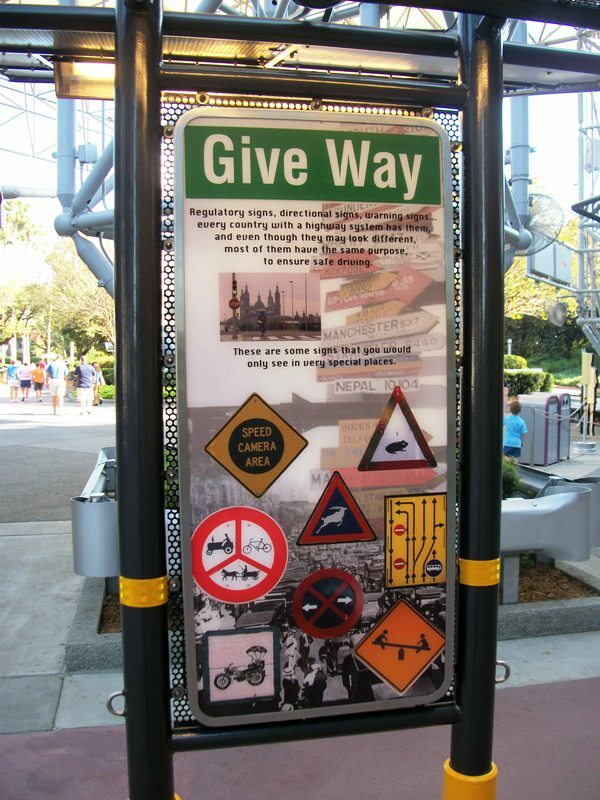 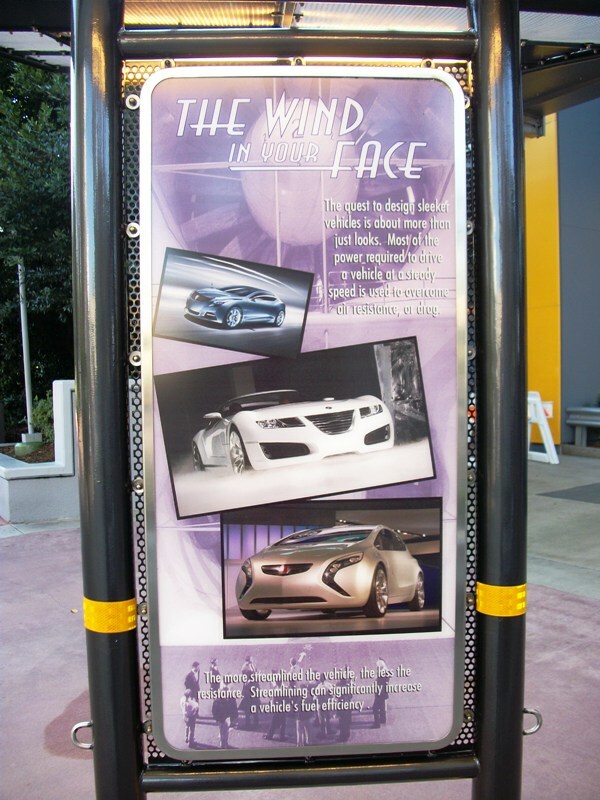 Scattered about the Test Track courtyard area, where most guest attempt to decide between Stand By or Single Rider queues and gather their Fastpasses for their proving grounds tour later in the day, there are a collection of panels. 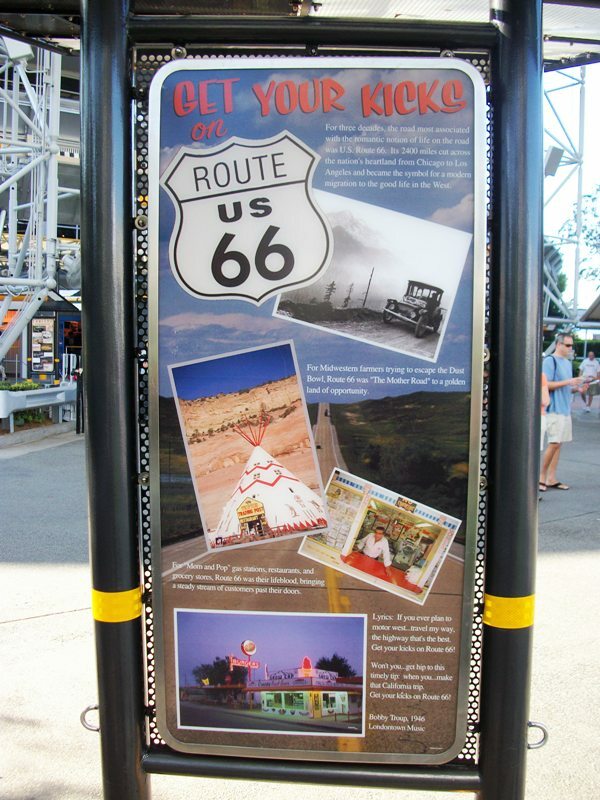 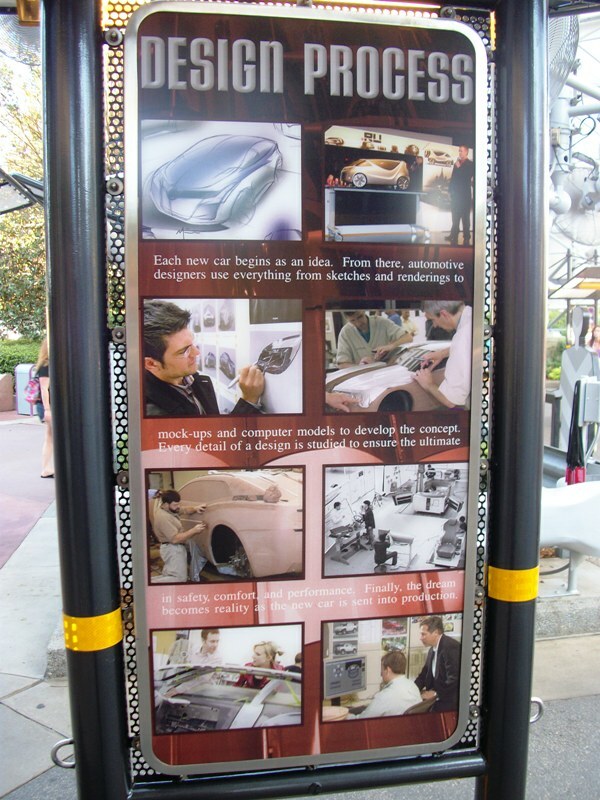 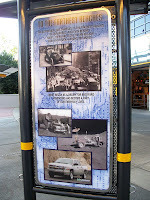 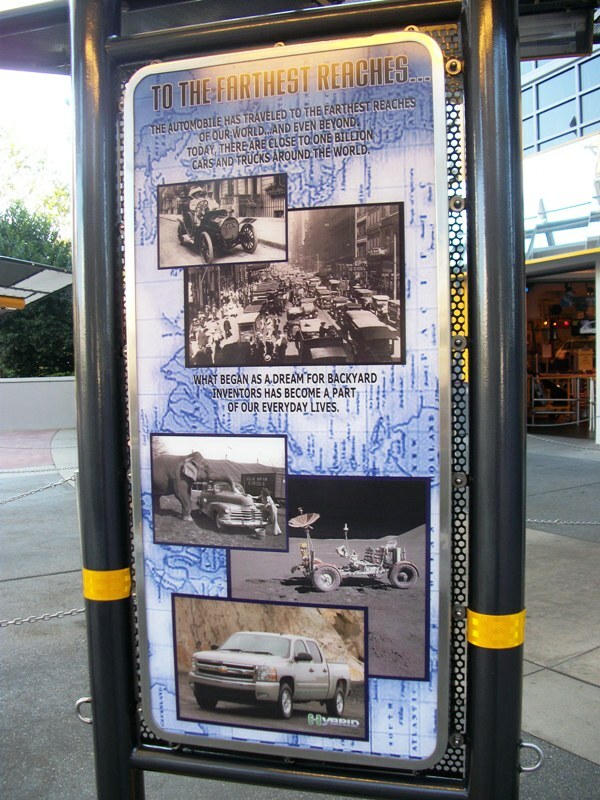 Each of the eight displays is double-sided, featuring a promotional reminder about Inside Track, the showroom/gift shop, on one side and an informational panel on the other. 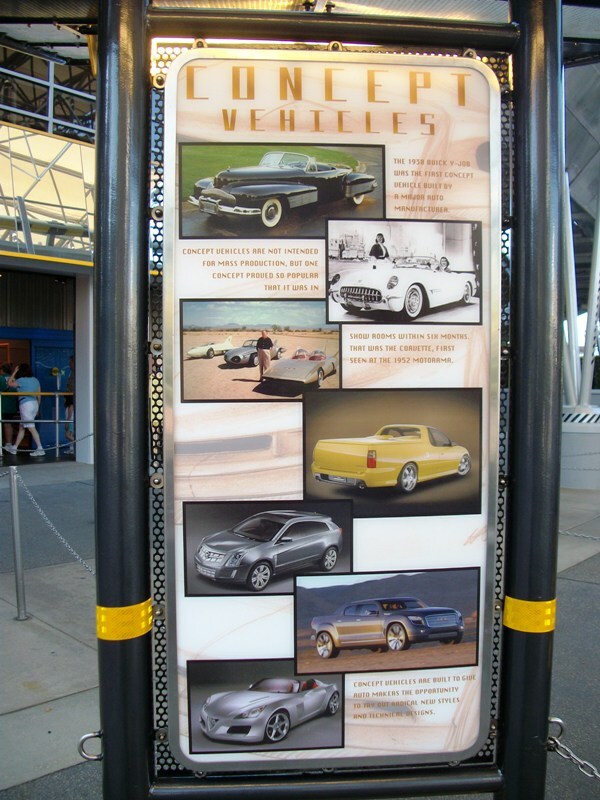 These educational, and sometimes entertaining, sheets cover topics ranging from the history and future of automobiles, to the design processes and even songs about heading on down the road. 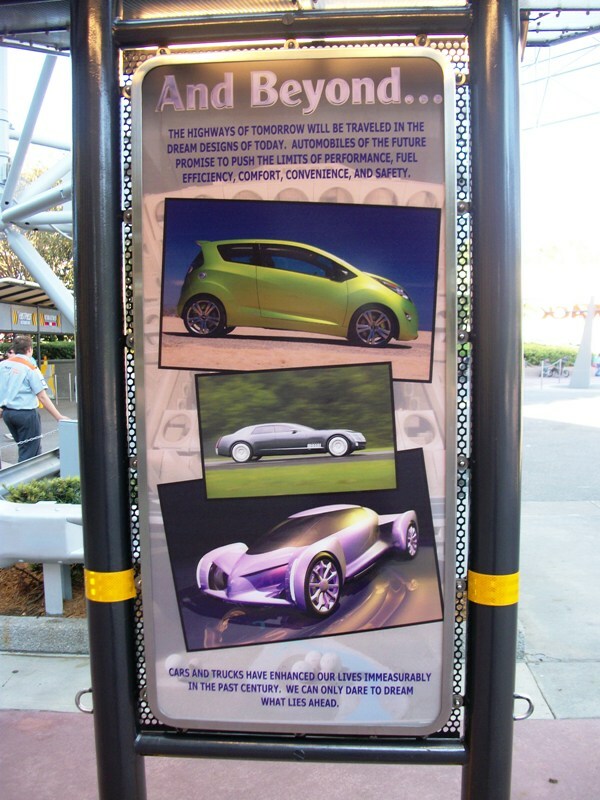 While these displays are not the flashiest element of Test Track (Did you miss the car zooming around the banked turn overhead? 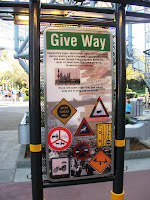 I didn’t think so. 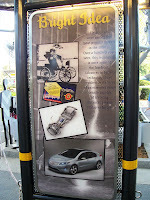 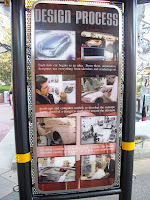 ), they are some of the most enlightening peeks the pavilion has to offer into the world of transportation.